Federal tax is a mandatory payroll deduction. 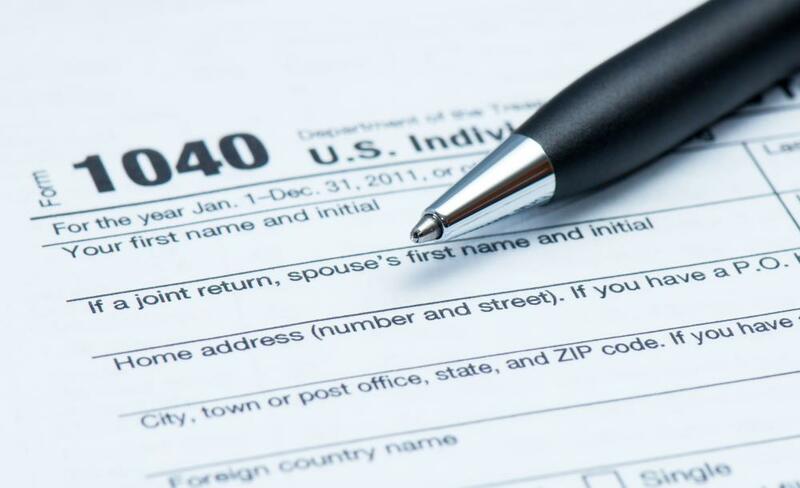 The 1040 is the yearly income tax form in the U.S. The amount an employer pays an employee may be less than the actual wages due to mandatory salary tax deductions. In the U.S., these fees must comply with state and federal payroll laws. 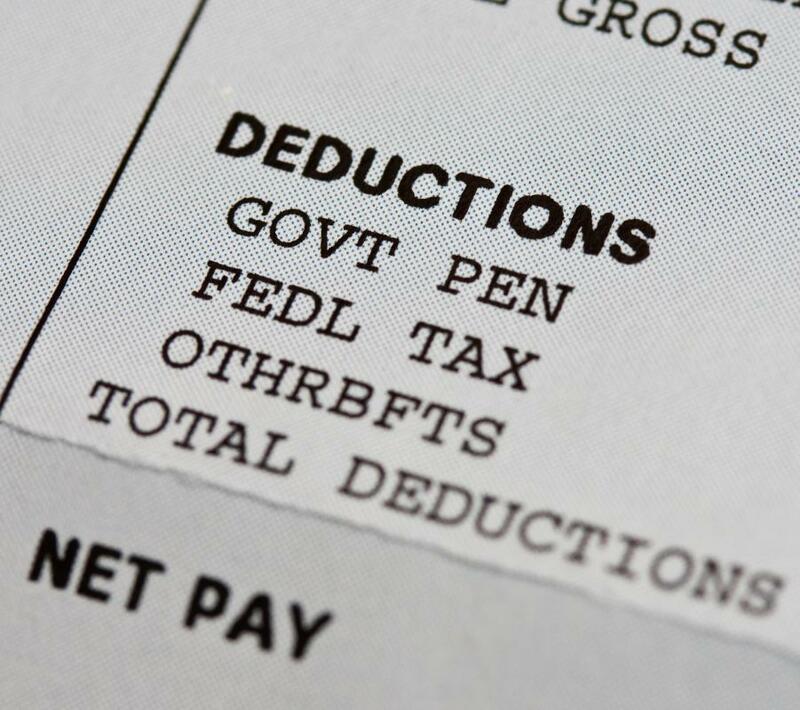 Common taxes on wages include state unemployment tax, income tax, and a fee for the U.S. Federal Insurance Contribution Act, also known as FICA. The actual amount of the deduction for each of these taxes is usually calculated based on the employee’s wages. The FICA tax laws were enacted in 1937. These salary tax deductions were designed to aid workers with retirement costs, medical benefits, and to provide payments to those who become disabled. Funds from FICA eventually developed into the modern institutions known as Social Security, Medicare, and worker disability. Social Security is a tax-funded retirement pension, while Medicare is government-paid health care for people aged 65 and older. Under disability rules, employees who become injured or ill and cannot work may be granted a disability living stipend. In the current American system, employers act as agents for government taxing agencies, using salary tax deductions to remove the proper amount of money from each paycheck and then transferring those funds to the recipient government agencies. Taxes on salaries occur on a pay-as-you go basis. This means that employers deduct income taxes from employees for each pay period, which may be weekly, bi-weekly, or monthly. Employers use three factors to calculate how much in tax to subtract from a paycheck: allowances, total earnings, and the length of the salary period. Employers establish each employee’s allowances when workers fill out an Employee’s Withholding Allowance Certificate, also known as a W-4 tax form, when they are hired. Allowances include the employee herself, her spouse, each of her children and any other dependents. The Internal Revenue Service, or IRS, furnishes employers with current withholding tables that indicate salary tax deductions for each wage and allowance level. Employers then retain the portion of the employee’s salary indicated by the IRS’s withholding table and eventually transfer those funds to the government. Federal Unemployment Tax Act, or FUTA, is a program partly funded by Social Security. The FUTA, sometimes known simply as 'unemployment,' makes limited payments to employees who lose their jobs through no fault of their own. Employers pay the federal portion of unemployment taxes, but the payment is based on amount of salary paid to employees. Employers with a history of unstable employment may pay a higher unemployment tax rate. What Are Deductions from Wages? What Are the Different Types of Federal Deductions?